Obviously, most fishing gear is not craft specific. However, there are several unique aspects to kayak fishing that lend themselves to gear designed specifically for those anglers. That’s why legendary rod manufacturer St. Croix developed a full line of rods with saltwater kayak-specific characteristics. The high-modulus graphite blanks in the Mojo Yak’s incorporate St. Croix’s Integrated Poly Curve engineered mandrel, allowing the rods to serve many fishing styles and techniques all in one. 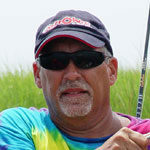 Tip weight is reduced, giving these tough but sensitive rods great balance. The Mojo Yak took home the industry’s coveted Best of Show award for saltwater rods when it was introduced at the 2018 ICAST convention. Pick up a Mojo Yak, and you’ll instantly feel the difference. Light but tough, they are perfectly balanced and simply feel like a precision kayak-fishing tool. 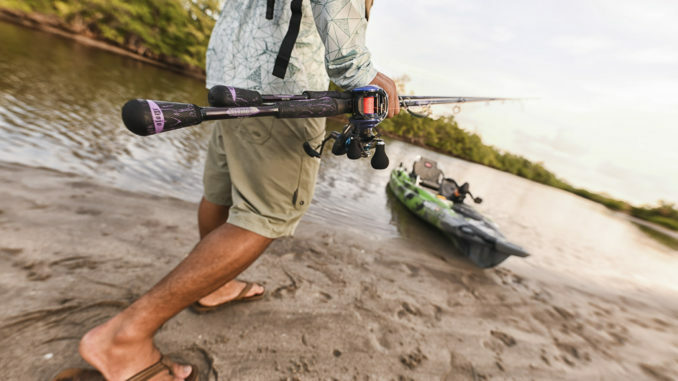 With eight different models in the lineup (two casting and six spinning), you can find one or two that perfectly suit your style of kayak fishing. The Mojo Yak comes with a five-year warranty backed by St. Croix Superstar Service.